PDC series decanter centrifuges, also called solid bowl centrifuges, are generally designed as two-phase or three-phase machines and are extremely versatile.Taking advantage of the principle that the liquid and solid phase, with different density and mutually insoluble in the mixed liquid, gain different sedimentation speed in the centrifugal force field or gravity force field, separating stratification or causing the solid particles in the liquid to deposit can be achieved. 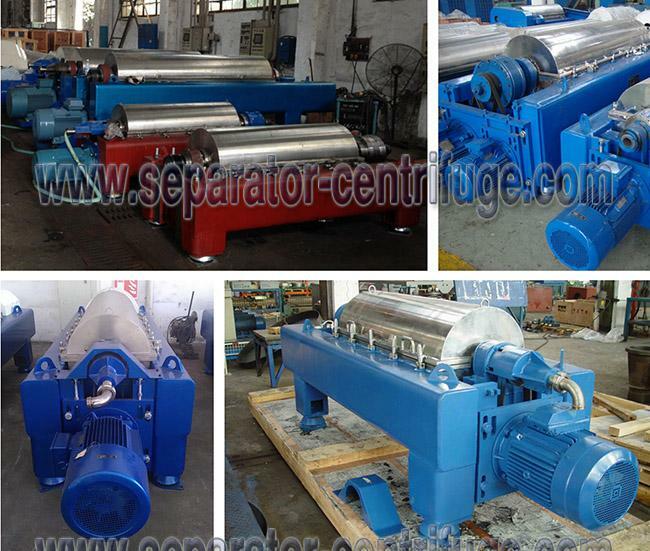 The machine could deal with the material which range of concentration is large, small size which widely distributing. 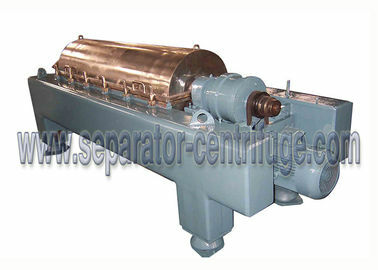 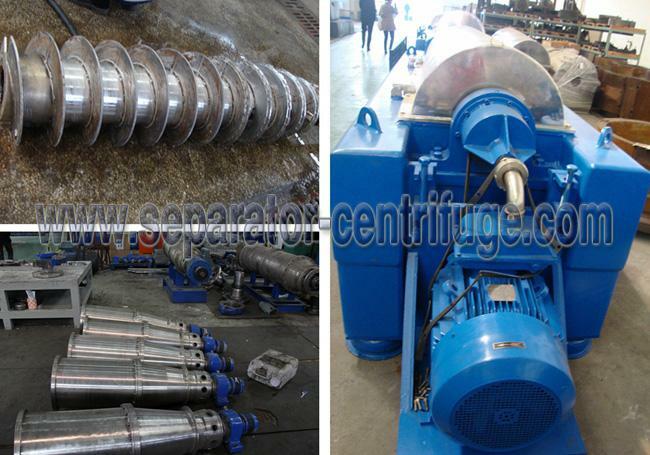 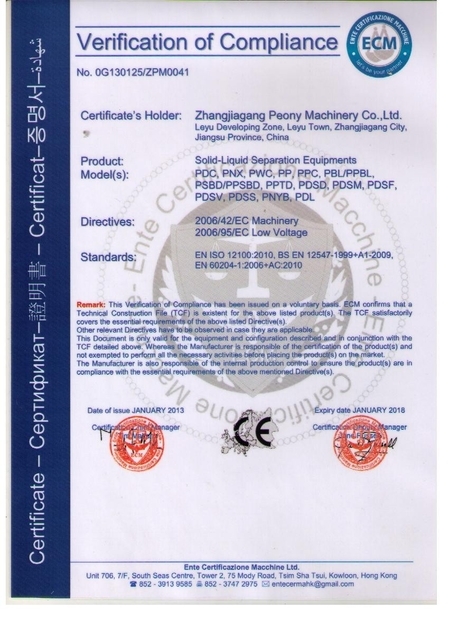 Solid particles are less 0.5mm as rigid particles, and less than 10mm as non-rigid particles, the machine can be effectively treated.The decanter centrifuge is applicable to the separating of suspension containing solid-phase granules with diameter greater than 0.005 mm and with the concentration being 2~40%. 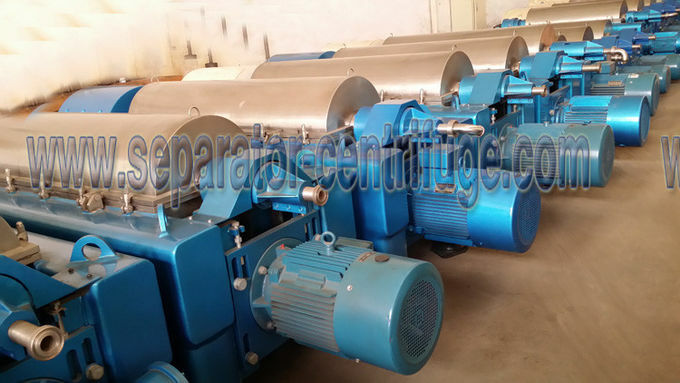 Soybean protein,peanut protein,corn protein,beer yeast.bone protein,bone blue ,blood power dewatering etc.